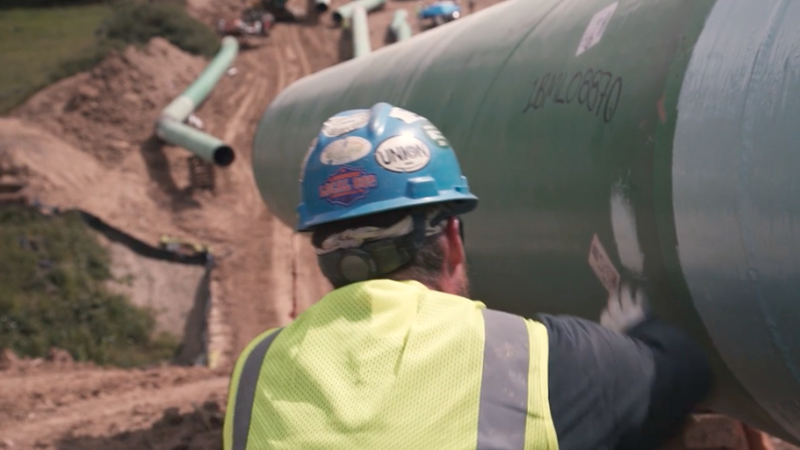 Regulators Let Atlantic Coast Pipeline Construction Expand in N.C.
Federal regulators are allowing work on the 600-mile Atlantic Coast Pipeline to expand in North Carolina. Duke Energy says the 600-mile Atlantic Coast Pipeline is on track to open in late 2019, even though it's still awaiting final state and federal approvals. But CEO Lynn Good said delays and more stringent conditions from regulators have pushed the project's price tag up - to between $6 billion and $6.5 billion. North Carolina environmental regulators have issued a key water permit for the Atlantic Coast Pipeline. It's one of the last permits needed before construction begins in the state. A divided panel of federal regulators granted approvals Friday evening for two major East Coast projects, the Atlantic Coast and Mountain Valley natural gas pipelines. 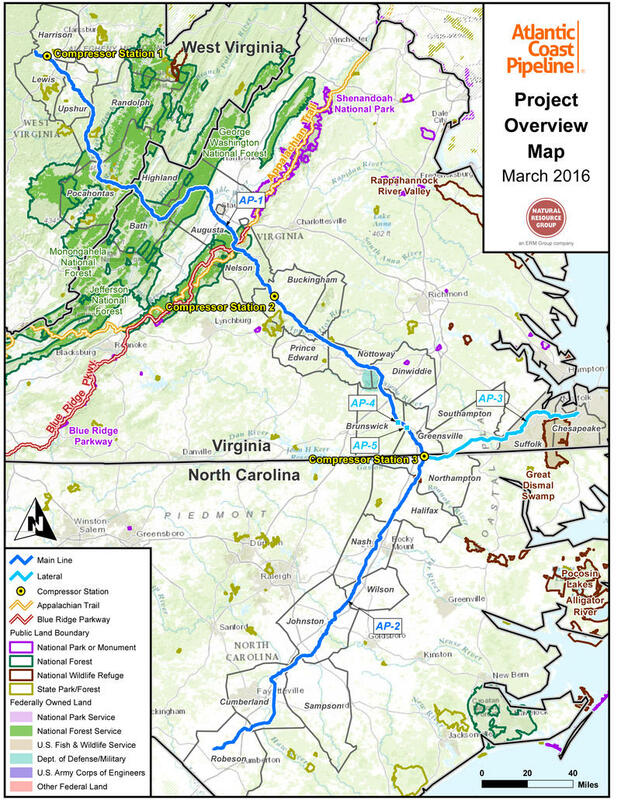 A federal environmental review has found that the proposed Atlantic Coast Pipeline would have some negative effects on water, forests and endangered species. But the pipeline's builders call the report favorable overall and say it clears the way for final approval. Oil and gas pipelines planned or under construction around the country have drawn protests - from neighbors, environmentalists and Native American groups. Now it's North Carolina's turn. Three protest walks are planned this weekend in Cumberland, Nash and Robeson counties by a group hoping to stop construction of the $5 billion Atlantic Coast Pipeline. State regulators wrapped up a two-day public hearing in Raleigh Tuesday afternoon on the proposed merger of Duke Energy and Piedmont Natural Gas. The two-day hearing included testimony from company leaders and a protest by merger opponents. Executives including CEOs Lynn Good of Duke and Thomas Skains of Piedmont argued the $6.7 billion deal would create a stronger company and speed Duke's shift toward cleaner-burning natural gas. Utilities planning the Atlantic Coast Pipeline have altered the route to avoid environmentally sensitive areas. But they say there's no change in the projected cost or 2018 completion date. 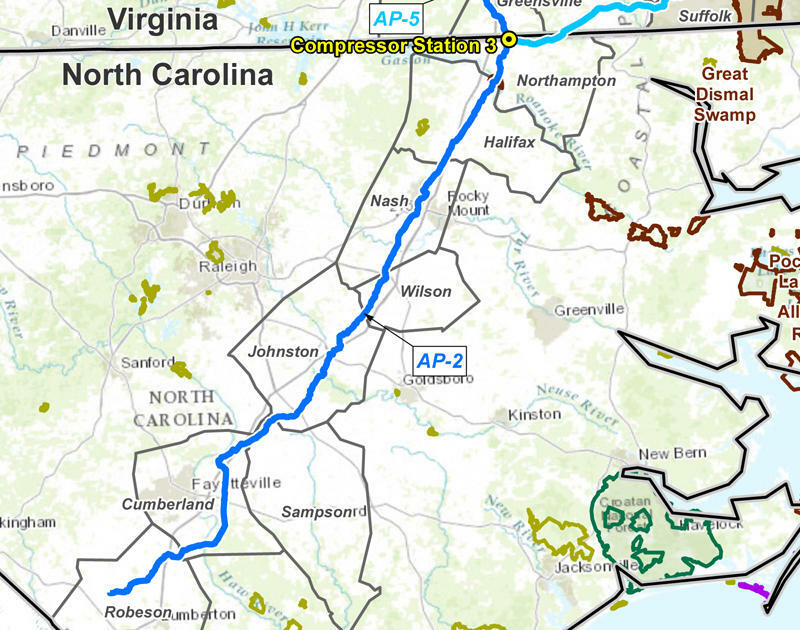 Duke Energy and Piedmont Natural Gas have chosen a builder and route for a new, major interstate natural gas pipeline to run through North Carolina, only the second such pipeline in the state. The first was built in 1951.